Save by bundling your lodgings and airfares. Expedia has heaps of amazing Brackendale Eagles Provincial Park travel packages that'll simplify things and give you more cash to splurge! Smart travelers who purchase a package deal on Expedia can save up to C$590*. With us, you've got more than 400 airline partners and 321,000 worldwide properties to select from around the globe, which means your dream vacation is just a few clicks away! 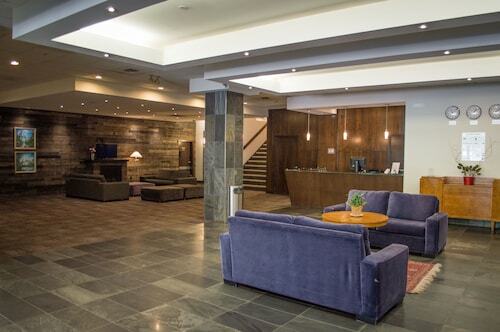 You may cancel or change almost any reservation and you won't pay a cancellation fee to us. There's no end to the number of wonderful things you can do when you visit a new destination. So why not get your trip to Brackendale Eagles Provincial Park off to the perfect start by having a look at some of our recommendations? After all – out there starts here! After a way to soothe stress of urban life? Enjoy the fresh air as you embark on an adventure through Stawamus Chief Provincial Park. There's a fabulous range of things to keep you busy in and around this destination. Slip into your khakis and dig out your clubs. If you'd love to get outside for an afternoon on the fairways, secure a tee time at Whistle Punk Hollow Adventure Golf. Still have time to spare? After a way to soothe stress of your hectic life? Savor the fresh air as you go for a romp through Alice Lake Provincial Park. 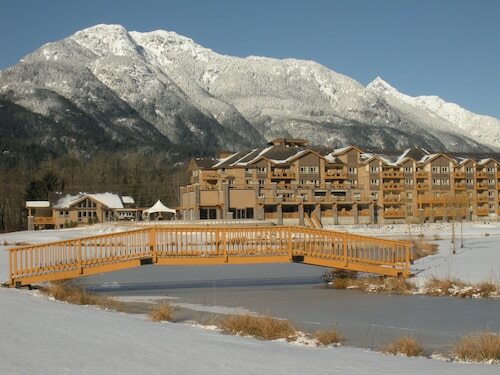 There are only 9 Expedia properties in Brackendale Eagles Provincial Park. Book now to guarantee you get a place for your cheap vacation or luxury getaway. 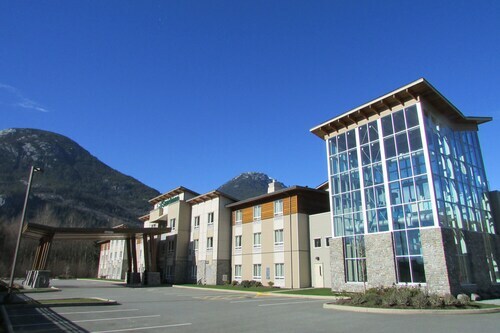 If you like fitness centers and valet parking as well as comfortable beds, why not look into the amenities at the Executive Suites Hotel & Resort, Squamish (40900 Tantalus Road) and the Sandman Hotel & Suites Squamish (39400 Discovery Way)? Make your way through the security gate, amble onboard, stow your bags in the overhead locker and make yourself comfortable! Your exciting trip to Brackendale Eagles Provincial Park isn't too far away. After the wheels touch down at Vancouver International Airport (YVR), you'll be situated 40 miles (64 km) from the center of town. Situated in Brackendale, this bed & breakfast is 0.1 mi (0.1 km) from Brackendale Eagles Provincial Park and 1.3 mi (2.1 km) from Brackendale Eagle Reserve. Whistle Punk Hollow Adventure Golf and West Coast Railway Heritage Park are also within 6 mi (10 km). 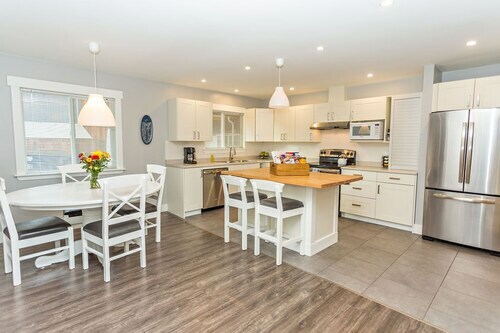 Situated in Brackendale, this vacation home is within a 15-minute walk of Brackendale Eagles Provincial Park and Brackendale Eagle Reserve. Alice Lake Provincial Park and Whistle Punk Hollow Adventure Golf are also within 3 mi (5 km). 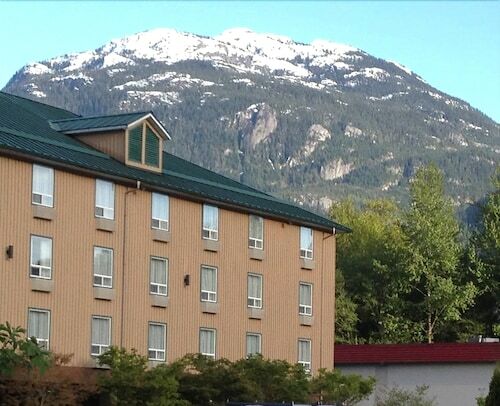 Situated in the mountains, this hotel is 1.4 mi (2.3 km) from Squamish Adventure Centre and 8.3 mi (13.3 km) from Britannia Mine Museum. Shannon Falls Provincial Park and Porteau Cove Provincial Park are also within 20 mi (32 km). 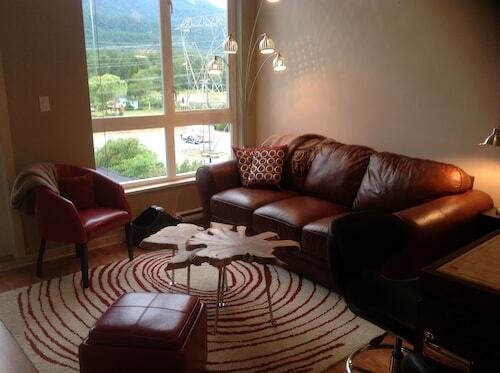 This family-friendly Squamish vacation home is within 2 mi (3 km) of West Coast Railway Heritage Park and Squamish Adventure Centre. Britannia Mine Museum and Quest University Canada are also within 9 mi (15 km).